CES, 6th January 2019 – At this year’s Consumer Electronics Show (CES) in Las Vegas, Jabra, a GN Audio company, cements its position as headphone experts with an expansion of its Elite headset range as well as an update of an all-time market favourite. Jabra is launching the latest addition to their Elite range of headsets: the Elite 85h headphones with Jabra SmartSound; exclusive AI technology for intelligent adaptive audio. These best-in-class headphones set new standards with maximum battery life, custom 40mm speakers and advanced 6-microphone call technology for crystal-clear sound. Jabra is also launching the Move Style Edition, an upgrade of the Jabra Move. This year, GN (parent company to Jabra) celebrates 150 years of sound innovation. 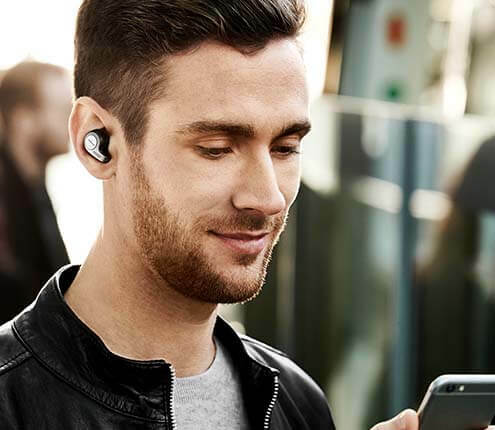 Since Jabra created the first consumer Bluetooth headset, more than two months ahead of the competition and paving the way for wireless communications in both the enterprise and consumer space, Jabra continues to find sound solutions that are engineered for purpose. CES will showcase the latest innovation from the Danish sound experts. The SmartSound feature in the Elite 85h has been developed based on audEERING’s soundscape technology. This feature ensures the audio of the headphones automatically adjusts to your surroundings. Whether you are in a crowded room or need to concentrate on a busy train, SmartSound will ensure you get the best calls and music experience. The Elite 85h headphones set new standards across the board, with 32-hour battery life (with ANC activated), crystal-clear sound with advanced 6-microphone call technology, 40mm custom-engineered speakers for top-quality acoustic experience and industry-leading durability. Together with SmartSound and totally hands-free Voice Assistant Control – allowing for faster and easier voice assistant access on-the-go – the Elite 85h are the smartest ANC headphones on the market. The microphone solution combined with the Jabra Sound+ app creates a 100 per cent hands-free Voice Assistant access experience. Users no longer need to touch a button on the headphones to interact with Alexa, Siri® or Google Assistant™ - all you need to do is speak, to be connected immediately. Jabra is among the first to feature this capability, allowing users to access Alexa by invoking the wake word. Engineered for wireless music on-the-move, the Move Style Edition offers an improved battery life of up to 14 hours, whilst offering the same great sound, comfort and light-weight that users love. Available in three new stylish colours: Titanium Black, Gold Beige and Navy, the Move Style Edition offers an exciting line-up for users to choose from. Since the introduction of the Jabra Move in 2014, the headphones have been widely recognised in its category for its superior wireless sound and unrivalled music experience in the below USD100 category. 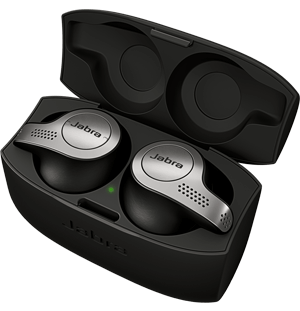 Jabra will also be showcasing an expansion of the Elite Active range, for sports use, the Elite Active 45e. These waterproof earphones provide an improved ear-hook design that not only promises a secure fit but also ensures long-term wearing comfort. Up to nine hours battery life gives users the ability to do a week’s worth of workouts on a single charge. These are set to launch in Q1 2019. Jabra is announcing the full Voice Activation (VA) integration with Chinese tech giants Baidu, Tmall, Tencent and iFlytek. Voice integration is completely changing the way we interact with devices and enhance our daily experiences, and with these new integrations, Jabra proves its commitment to pioneering solutions in China as well as making the VA experience the same all over the world. Find out more about the Jabra Elite 85h, Jabra Move Style and Elite Active 45e at: www.jabra.com. -	The Elite 85h will be available from April 2019 at selected retailers, MSRP 299 USD/ 299 EUR/ 279.99 GBP approx. -	The Move Style will be available from mid-January, 2019 at selected retailers, MSRP 99 USD/ 99EUR/ 89.99 GBP.